Profile used mainly for sports competition. 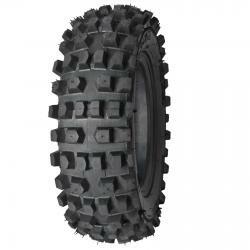 Thanks to the tread on the sidewalls, has very good traction. Not approved for use on the road. The best tire on rallies and heavy field trips. Basic tire rallies RMPST. Not suitable for asphalt. Known and appreciated by a group of racers.